Duke and duchess, and baby makes three! After months of speculation about when, exactly, Meghan (née Markle), Duchess of Sussex, would give birth to her first child with Prince Harry, we finally know Meghan’s due date. Well, an approximation, at least. On Monday, when Meghan and Prince Harry visited the town of Birkenhead, she gave the crowd an update on her pregnancy, which was announced in September, just four months after the royal couple tied the knot. 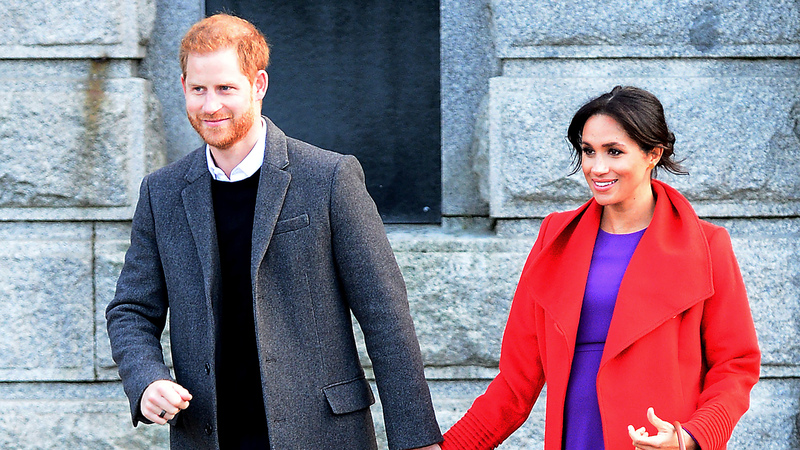 People reports that Meghan also told some of the crowd gathered in Birkenhead’s Hamilton Square that she’s due in late April. This confirms speculation that she has been wearing her future child’s birthstone in one of her rings alongside rings featuring her own birthstone and her husband’s. Prior to Monday’s unofficial announcement, however, all we knew of the baby’s due date was that they would arrive in the spring, per Kensington Palace. Given how sweet he’s been about becoming a father, we’re inclined to agree — and it seems like both Meghan and Prince Harry have ideas about how they’ll raise their future kids. Though we’re not likely to know the newest royal baby has been born until after the fact, it’s still exciting to have more of an indication of when that will be.